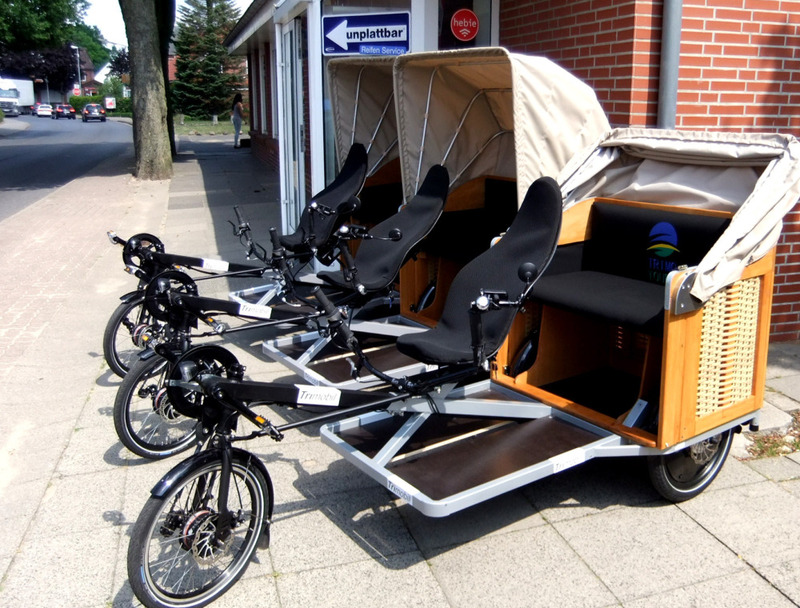 Trimotours start their several transportation services with three beach chair Trimobil rikshaw trikes earlier this month in historical northern German city of Lueneburg. Their range is traditional rickshaw service for tourists, sightseeing and exciting event offers up to eldercare on three wheels. Much enthusiasm lead to the first live presentations with trial runs at device management and senior citizens. And the special topics tours offered, are now fully booked in the historic salt traders' and Hanseatic City of Lüneburg. Other special theme tours, for example, lead to original movie locations and allow to visit to the studios. In addition, the Trimobile can also be booked for your own trips and events. All other information is available directly under www.trimotours.de.